After he’s told his dead wife is still alive, Dr. Devon Pierce knows someone is out to get him, and he turns to the Colby Agency for help. Isabella Lytle takes his case, and they find their simmering attraction nearly impossible to resist. FBI agent Beth Hoosay is determined to bring down a surrogate baby ring operating on the reservation, so she turns to Ty Redhorse, whose little sister has been kidnapped, for help. Working together is tough. Fighting what’s brewing between them is even tougher. After one passionate weekend together, Keira Spencer and Roman Weber go their separate ways…until an elusive terrorist threatens anyone connected to Omega Sector. Forced to reunite with the woman he cannot forget, Roman offers Keira his protection—only to also learn she’s pregnant with his child. 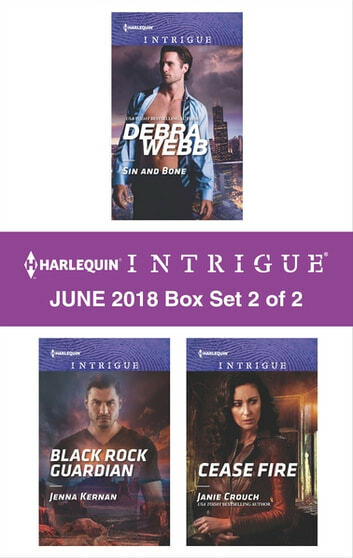 Look for Harlequin Intrigue’s June 2018 Box set 1 of 2, filled with even more edge-of-your seat romantic suspense!